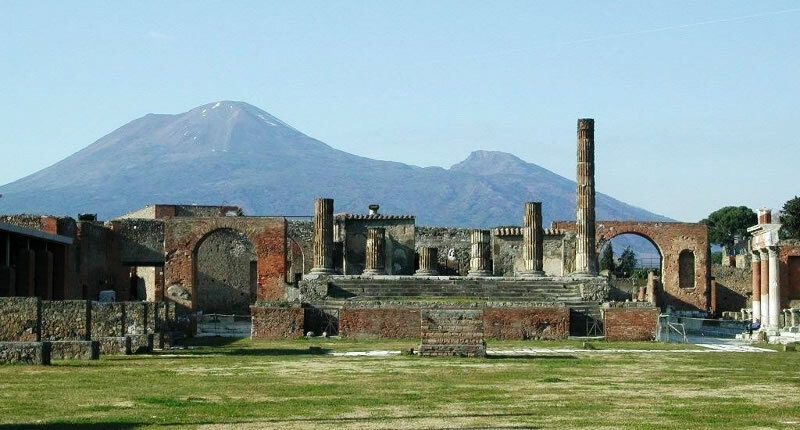 Worth stopping in Pompeii if you are traveling from Naples airport to the Amalfi coast. With Easypickup.it is possible requiring an stop with a little extra. Naturally if you booked a private transfer. Contact our customer service 24/7 by email to add a extra at your existing reservation. Is one of the most significant proofs of Roman civilization and, like an open book, provides outstanding information on the art, customs, trades and everyday life of the past. The thick layer of volcanic material which submerged it, made up to a large extent of ash and lapilli - non-hard material, unlike that which covered Herculaneum and which solidified into extremely hard stone -has meant that the city has remained intact until the present day, not only as far as its buildings are concerned, but also as regards the contents inside the houses and shops, providing an absolutely fascinating picture of "daily" life. The walls of the houses are covered with electoral propaganda messages or risque jokes aimed at particular citizens. The signs on the shop doorways indicate the activity carried out there or the name of the owner. Alongside the elegant villas belonging to the nobility and the luxurious residences of the middle class, stand modest houses where several families lived. The architecture and development of the various types of houses is also amply documented. Thus the excavated city provides outstanding historical evidence of Roman civilization: these reminders of the past, which are so vivid and tangible in the remains brought to light, contribute to the fascination of the present.